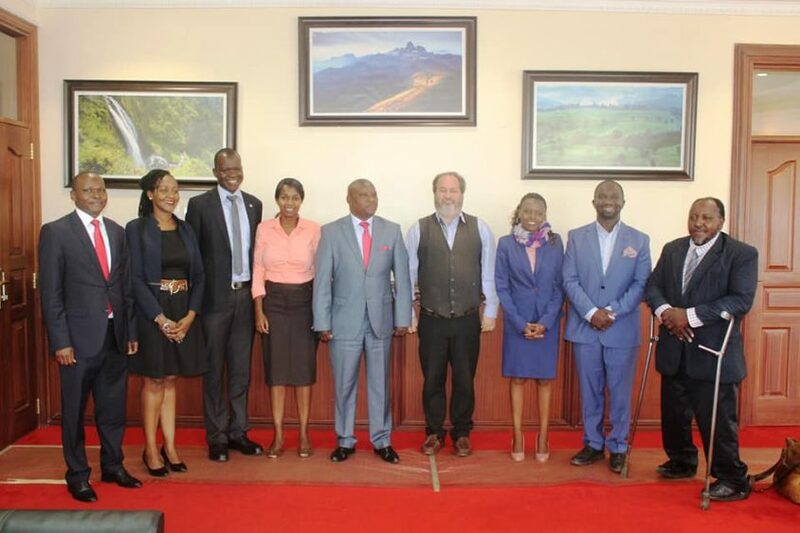 The County Government of Nyeri and UN Habitat are preparing a unique program which will benefit more than 1,000 youth from Nyeri. Through a partnership with the Department of Gender, Youth and Social Services and the UN Habit, the program will ensure training of youth on construction, hospitality, paramilitary and discipline training. A Youth Resource Center will be established that will model a similar center in Kigali, Rwanda. The UN Habitat has already initiated 10 Youth Resource Centers, two are in Nairobi and the rest are in Kigali, Kampala, Mogadishu, Juba. In Kenya the centers are in Meru, Mandera and Vihiga. Nyeri’s Youth Resource Center will be established by the end of this financial year. UN Habitat which has been around for 40 years has tested the Youth Resource Center model for the past fifteen years. They’ll also assist Nyeri to come up with a feasible Youth Policy. As a follow up to this, a team from the UN Habitat led by Chief, Youth and Livelihoods Unit Douglas Ragan and Youth Officer Linus Sijenyi paid a courtesy call to Nyeri Governor H.E. Mutahi Kahiga in his office on 16th January 2018. The training will help the youngsters on issues of job creation and access to online services. The Resource Center will be youth friendly where Wi-Fi will be available as well as the center’s use for recreation, meetings, training and as an information center. The Governor is fully committed to youth programmes that are beneficial to the youth to aid in the acquisition of experience, skills and knowledge.Such a unique programme has been started by County Government of Nyeri which has deployed 200 youths who are in the internship programme in the county, the first of its kind in Kenya. Nyeri CEC for Gender, Youth and Social Services Esther Ndung’u, Chief Officer Joseph Kanyi and Chief of Staff Paul Wambugu were also present.